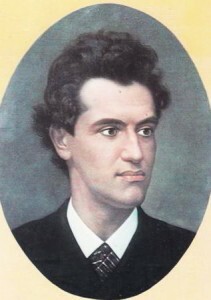 Ciprian Porumbescu was born on October 14, 1853, in the village Şipotele Sucevei, Bucovina. At age 6 began studying music under the direction of pianist Carol Mikula, disciple of Frederic Chopin. He was a very talented and sensitive child, showing precociousness especially in music. Later he goes to the Superior Gymnasium to Suceava where deepens in studying systematic piano, violin and organ. Although he enrolled at the Theological Seminary in Chernivtsi, music remains his great love and continues to study piano, violin adding cello. His first composition is the lied “A desire”, lyrics by Matilda Cugler. His life was effervescent, sprinkled with public concerts, organizing vocal ensembles , rehearsal, studies in the night (when he copied scores for choirs and orchestra). He compose with a great frenzy, without handle his already poor health. In addition, it get to be involved politically, being the president of a nationalist organization. His compositions from this period have a deep patriotic content. In 1877, he was arrested by the Austrian authorities. Those three month of detention made his health more weakening. After being acquitted, he went to Vienna to continue his studies. Among the teachers there was also Anton Bruckner. After graduation he established at Brasov and engaging like music teacher and conductor of church choir. Although his health worsens, he compose of increasingly assiduously. 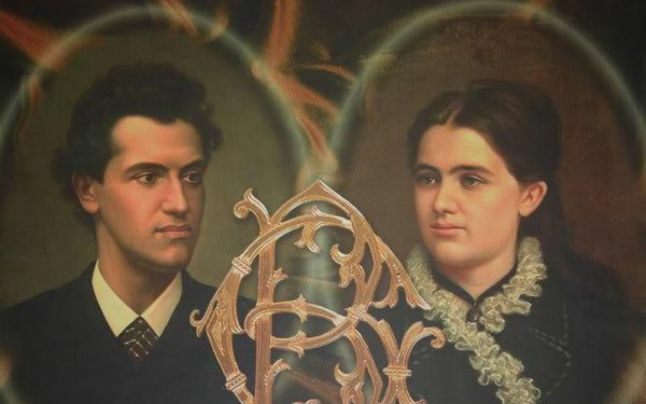 In 1880 he published a “Collection of social songs” for Romanian students, which includes 20 choral pieces, including: “The Song of Ginta Latina” , “The Song of Tricolor”, “The Hymn of Union - On our Flag”. Add his masterpiece "Ballad for Violin and Orchestra” (singed worldwide), “The Romanian Rhapsody” and the first Romanian operetta, “New Moon”, presented with a great success in Brasov, in 1882. 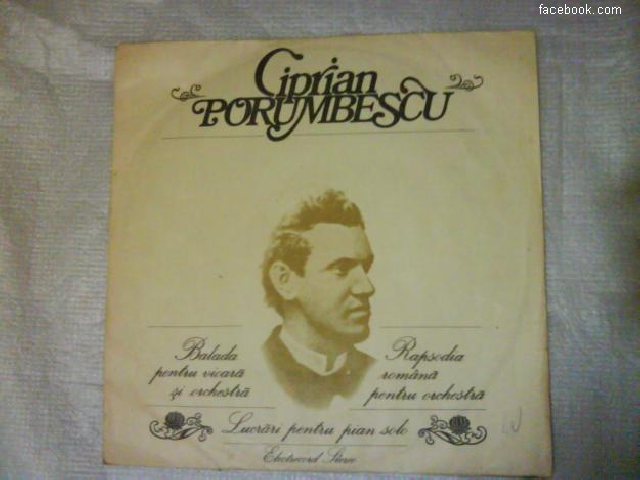 Among his compositions are found beautiful Romanian songs named “Hora” and religious music also. A new unfortunately comes to overshadow his life through a sad love story. He can not marry Berta Gordon (the girl he loved) because both families were against. Not only because of their differents religious denomination, but also Berta's father did not agree with the Romanian political activity of Ciprian. In 1882 he travels to Italy, at Nervi, but returns home in 1883 because of the longing for his house. On 9 June 1983 he left this life at only 29 year age.